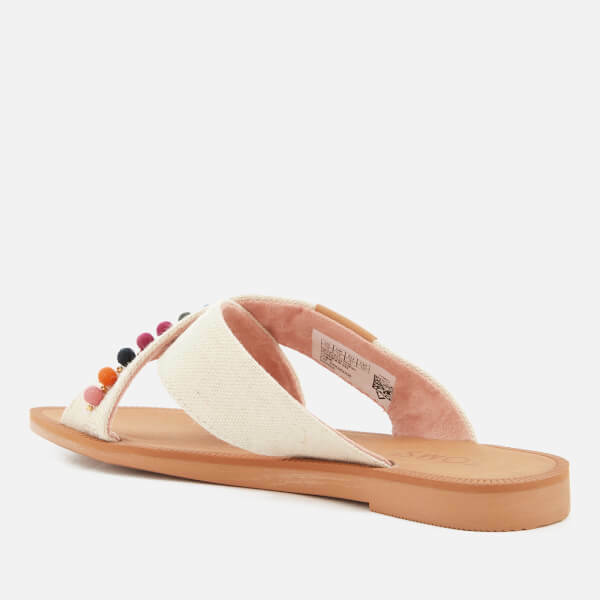 Kids' slide sandals from TOMS. A member of the One for One® family, TOMS match every pair purchased with a pair of shoes for disadvantaged children. 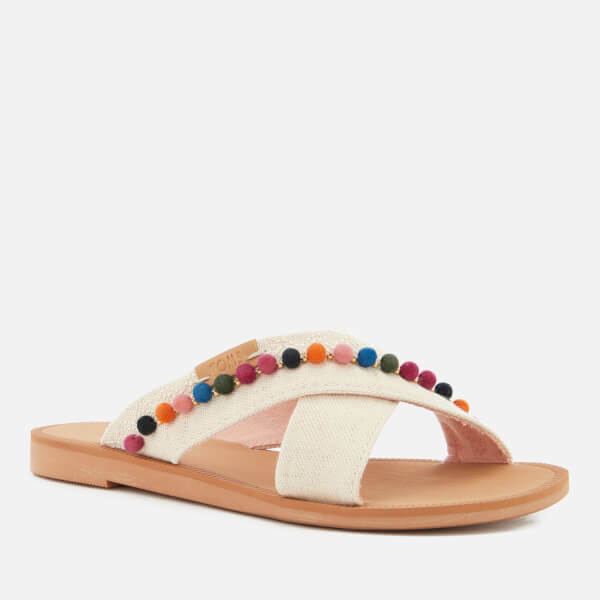 Crafted with a vegan, natural hemp upper, the 'Viv' slip-on sandals showcase cross-over straps with delicate beading, tonal embroidery and multi-coloured pompom detail. 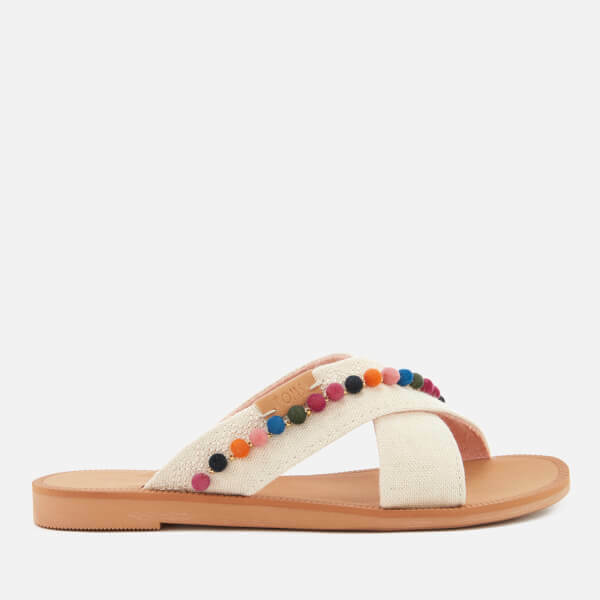 Set on a flat sole with a textured tread for enhanced grip. Logo branding to the footbed and strap.